In early October we went to the Hungarian capital for a long weekend of sightseeing. It wasn’t my first time in the city as I’d previously visited when I went interrailing in 2016, but it was a chance to take Stuart to Hungary and show him the city on the Danube that I always rave about. 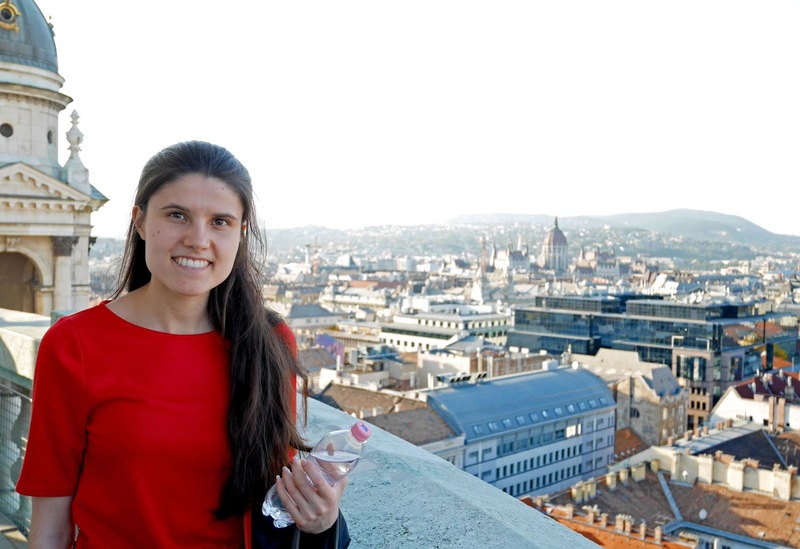 It was an action-packed 2 days full of sightseeing and strolls along the banks of the Danube and I tried to cram in lots of Budapest ‘must-dos’ into the short time we had there (lessened by airport delays on the Saturday morning). This ultimately leads me onto the theme of today’s post: my short list of must-dos for a city break in Budapest. Go up to the top of the St Stephen’s Basilica. For 300-600 forint (£1-2), you can take the lift up to the top of St Stephen’s Basilica for tremendous views of the Budapest skyline. 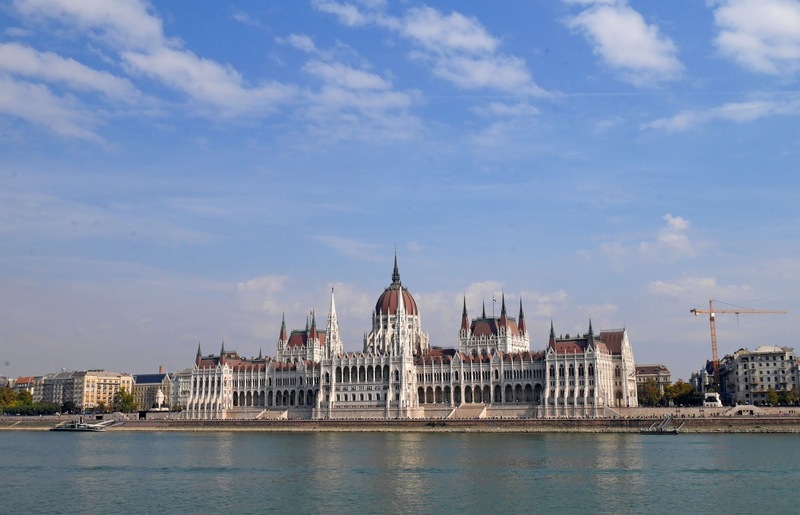 You get to see the Parliament building on the edge of the Pest side and highlights of Buda in the far distance, as well as look down at the cafe and restaurant street culture in the squares beneath the Basilica. It’s the best value attraction in Budapest in my opinion and a great place to get photos of the city from above; just remember that it closes early so you won’t be able to get a nighttime view from the Basilica observation deck. Take a river cruise down the Danube. 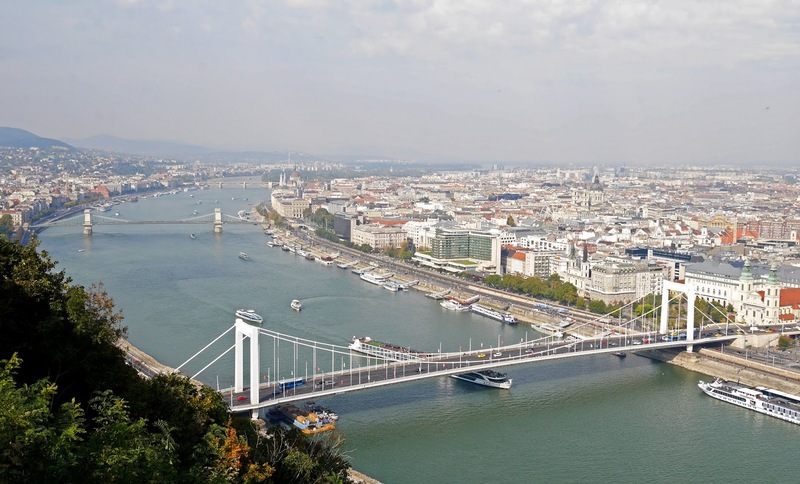 The Danube river is the heart and soul of Budapest. 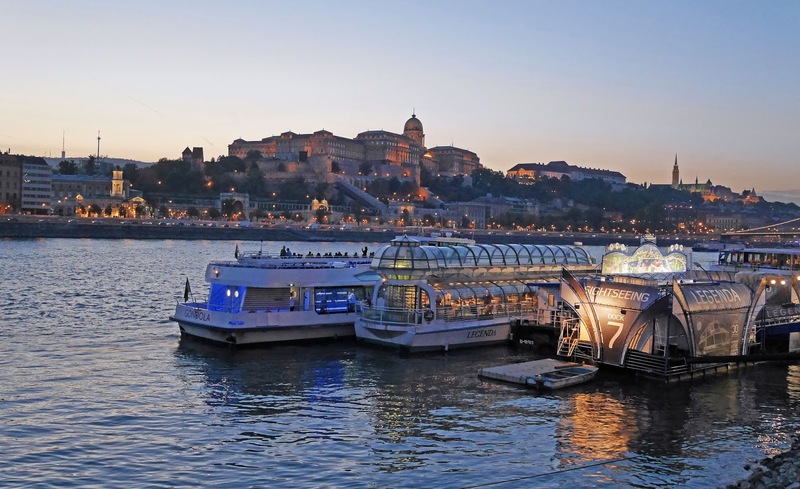 The river divides the city geographically into Buda and Pest and hosts some of the city’s major historical buildings on its banks. To really experience the city and get fantastic views of both sides, I recommend booking a spot on a Danube river cruise. You will see so much in your time slot whilst sipping on a complimentary beverage and listening to Budapest city history on your audio guide headset. 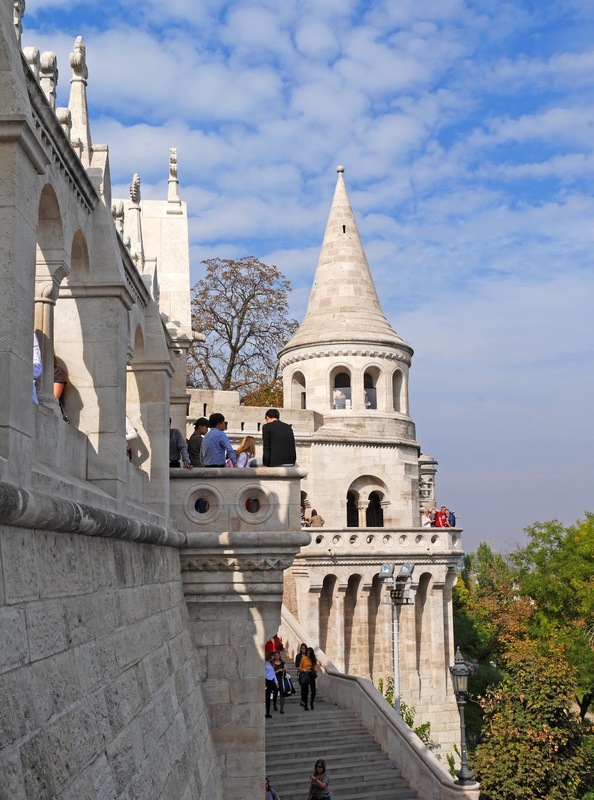 One of the architectural wonders of Budapest, Fisherman’s Bastion should be top of your sightseeing list. You can take a walk up the hill on the Buda side to reach it or catch the funicular and be at the top of the hill in seconds, before continuing up the path through Buda old town to the Matthias Church and Fisherman’s Bastion. The Bastion architecture is absolutely fascinating so make sure you put some time aside to wander around it and properly explore. The arches are probably some of the most photographed in Budapest as they look out onto the Danube and the bridges below. 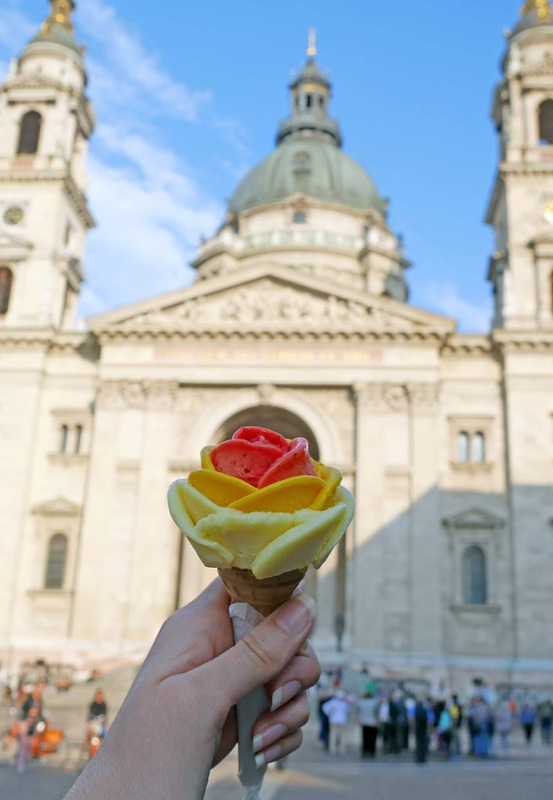 Try rose-shaped ice cream near the Basilica. 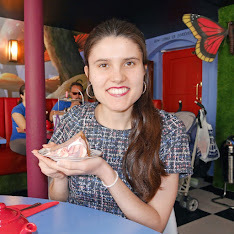 If you like having unique food experiences, stop in at Gelarto Rosa near the Basilica for rose-shaped ice cream. These ice creams are so clever that they’re basically an art form in themselves and almost everyone that visits the shop leaves with their phone or camera in hand so that they can get that perfect photo before their ice cream melts. The ice creams look too good to eat, but trust me they taste delicious and should be a food priority for your time in Budapest. Take in views of the city at the Citadel site. I recommend getting a bus to this location as it’s quite high up on the Buda side, but head to the Citadel site to see the Liberty Statue which overlooks the entire city. There are food stalls and a craft market on the grounds of the Citadel so you don’t have to rush back down the hill if you want to see the statue and then make the most of the incredible views over the city. It is the highest point in Budapest and visiting the Citadel gives you a real sense of perspective of where everything is and how the city is laid out. This list is only a starting point for visiting Budapest. 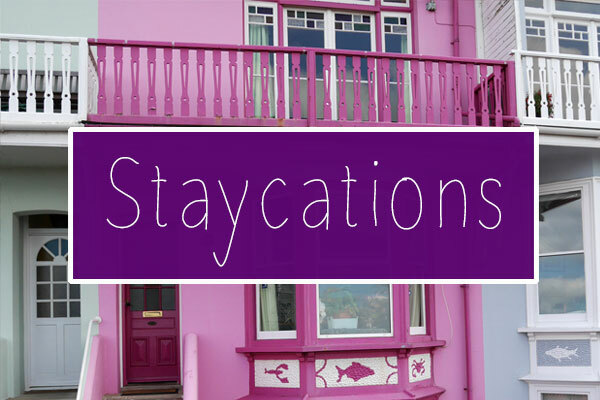 I have tried to pick a mixture of historic, tourist attraction and food recommendations seeing as all of these things are important to me when we travel. If you visit Budapest anytime soon, make sure you dedicate some time for the Danube and looking at the city from both sides of the river. Budapest is a Central European metropolis which should be high up on your city break bucket list. 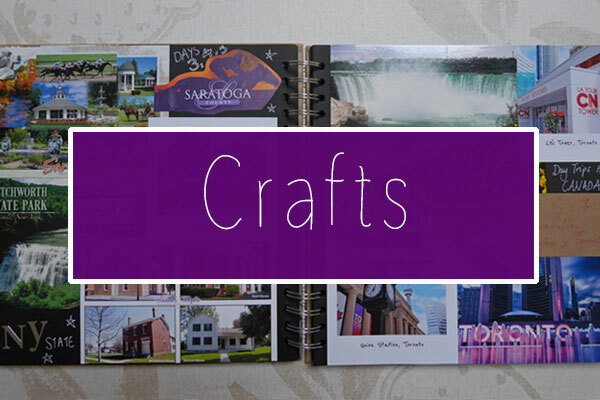 There is just so much culture and history in the city! Have you been to Budapest? 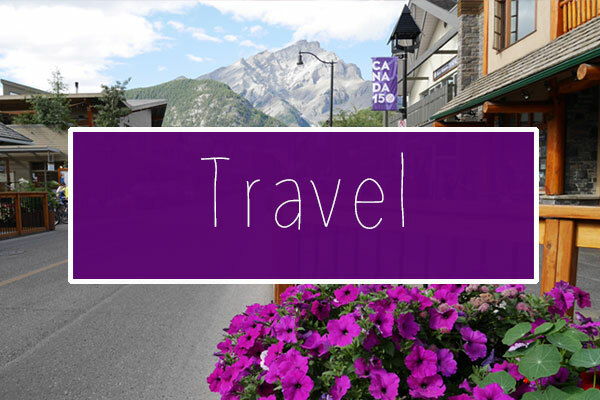 What are your must-dos for any trip?